As a Top 1% REALTOR for many years, my commitment as your local REALTOR® is to provide you with the specialized real estate service you deserve. As a realtor since 1993, I have seen both the highs and lows of the Real Estate market throughout BC. Whether buying, selling or investing, I invite you to contact me with any questions that you may have. Real estate is typically the largest investment you will make; therefore, it is imperative that you seek the advice of someone who is knowledgeable and understanding of your circumstance. As well, I have experience in unique situations such as foreclosures, developments, bank sales and stressed sales. My promise to you is that your experience will be both stress-free and enjoyable. We have helped many people find their first home; have helped people invest wisely and have helped create peace of mind. We promise to give you up-to-date information on your property and to market it not only locally, but to the world, using the tools that are provided by Coldwell Banker. View all of our listings on YouTube, Twitter and Facebook. With the John Samus Group, You Don’t Get What You Deserve, You Get What You Negotiate ®. 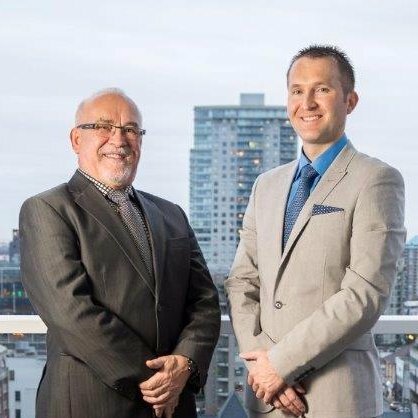 I began my career in Real Estate over 8 years ago, joining my father to create The John Samus Group. In these past years, I have experienced both a high and low market and have been in many different and unique situations. That is why I believe that it is important that you seek the advice of someone who is knowledgeable and sympathetic of your circumstance. Real estate is typically the largest investment one will make and it is important that you make the right decisions, not only currently but for the future. As well, with my father, we have helped in unique situations such as stressed sales, bank sales and foreclosures. We have helped many people find their first home; have helped people invest wisely and have helped create peace of mind. We promise to give you up-to-date information on your property and to market it not only locally, but to the world, using the tools that are provided by Coldwell Banker. View all of our listings on YouTube, Twitter and Facebook. With the John Samus Group, You Don’t Get What You Deserve, You Get What You Negotiate ®.